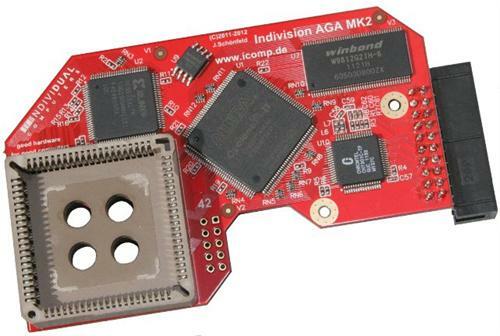 The Indivision AGA Mk2 A4000/CD32 is the successor to the Indivision AGA A4000/CD32 flicker fixer. It can be used with the Amiga 4000 (desktop version, there's the Indivision AGA Mk2 A1200/4000T for use with the A4000T) and the CD32, other Amiga models are not supported. (*) Important Note: The first batch of Indivision AGA Mk2 is shipped without a configuration program, and the current version of the flash program shipped with the device is rather an expert tool than an example of user friendliness.